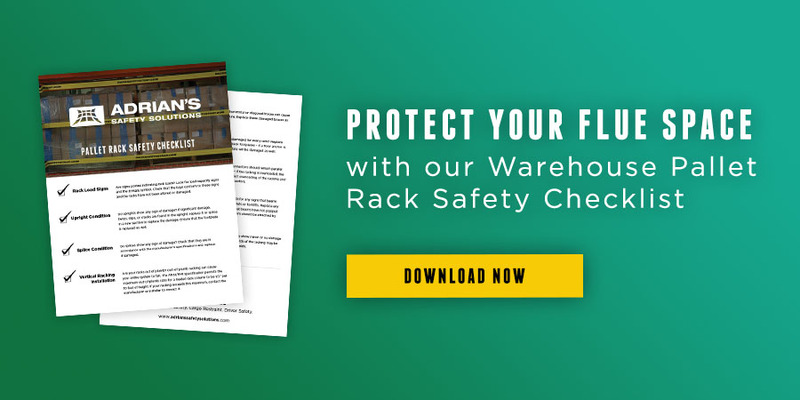 While flue spaces are critically important for fire safety, they can create challenges for warehouse personnel when the goods stored on the shelves push through into the flue space. Flue spaces allow heat from a fire to vent vertically and quickly activate the ceiling level sprinklers. This slows down the horizontal fire spread within the rack. 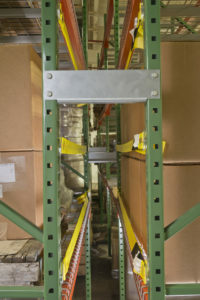 NFPA Code 230 outlines the standard for fire protection of stored goods and NFPA Code 13 requires a minimum 6-inch longitudinal flue space – the down-aisle direction – between back-to-back racking arrays. Solving flue space push through issues has historically been expensive and time-consuming, whether through employee training on proper forklift load handling or by installing expensive and time-consuming devices to prevent it. Unfortunately, addressing falling pallets or boxes due to flue space push through often doesn’t happen until there is an accident. In addition to protecting your warehouse from a catastrophic fire event, safeguarding employees is always a top priority. How can you do both while still making sure you’re running your facility efficiently? Adrian’s rack safety product line has solved the issue of flue space push through with a line of simple products that are easily inserted into existing racking uprights within seconds. We design all of our rack safety products with the end user in mind. Our straps and safety netting mount quickly to the existing back of the rack with no tools needed. Finding a solution that keeps your products from falling does not have to be complicated, expensive, or require extensive installation. 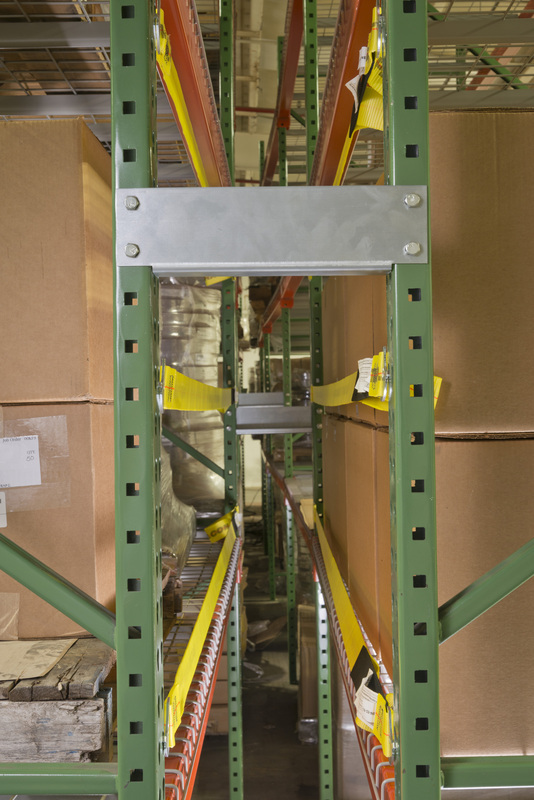 Adrian’s Safety Solutions can help you with products designed to prevent push through and protect the items on your racks as well as the people who handle them. Request a sample for a free rack safety strap today.